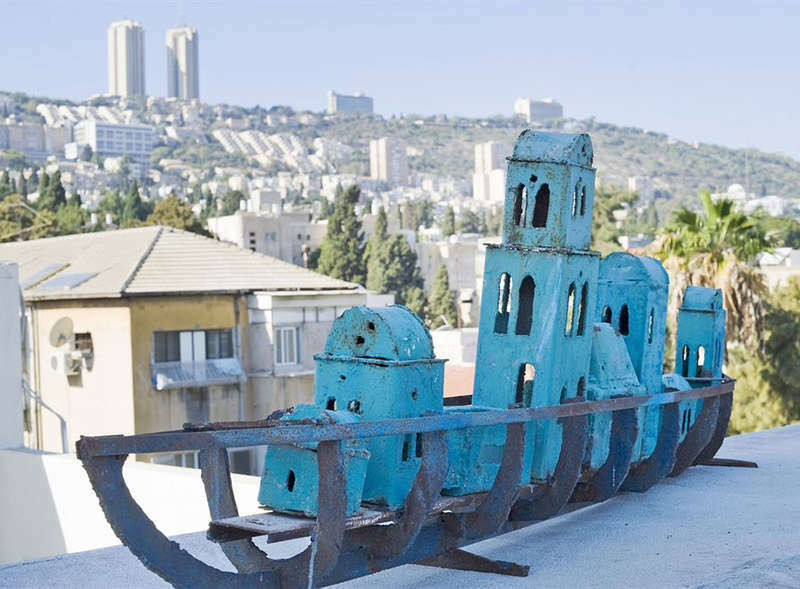 Throughout the hotel you can admire collections of Israeli art. The hotel lobby holds an impressive library packed with art, archeology and design books as well as magazines alongside an exhibition of a guest artist. The hotel guests can enjoy a 24 hour gym, SPA and a diverse catalogue of treatments, as well as a sun porch. Gallery Spa has an extensive catalogue of holistic treatments and massages applied by experienced and certified therapists in a tranquil and relaxing atmosphere. From the balcony of our treatment center you can see the Mediterranean sea and the coastal strip of Haifa Bay. An open balcony with a sculptures garden and sitting corners makes the experience complete. Business facilities are provided, including free Wi-Fi and communication tools, and there are facilities for conferences and meetings. Other service include laundry, car rental, parking and airport transfers. The restaurant serves international cuisine. Cooked-to-order breakfast is available daily between 7 AM and 10 AM. Breakfast includes hot and cold drinks, eggs, salads, and sandwiches. All rooms are equipped with wireless internet. There are computer stations at the lobby free of charge and FAX services are also at your disposal. You can enjoy LCD TVs with cable channels, and all 40 rooms feature free WiFi, coffee/tea makers, and free bottled water. Additionally, refrigerators, in-room massages, and safes are available. Price includes breakfast. 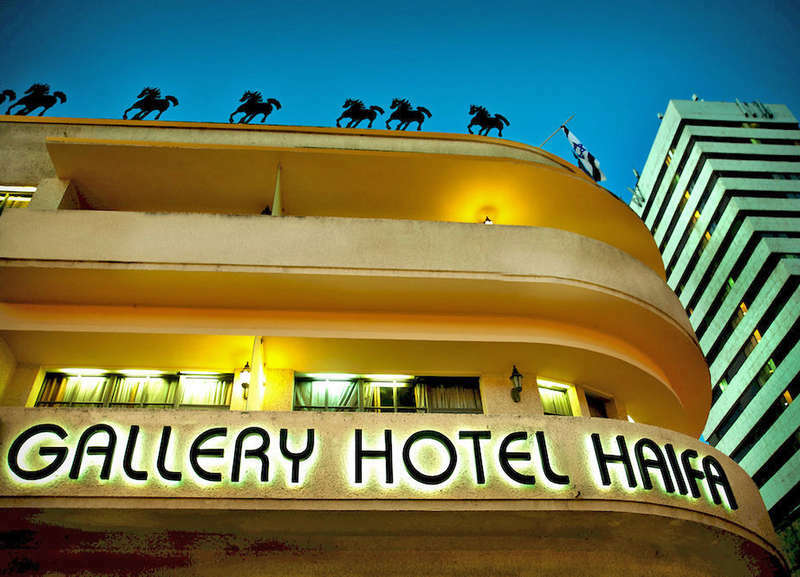 The hotel is located in the heart of Haifa, in a historical neighborhood that enjoys city scapes including Mount Carmel, the Mediterranean sea and the North of Israel. Art Gallery Hotel offers its guests a central location, a short walk or drive to all business centers, shopping centers and tourism attractions. 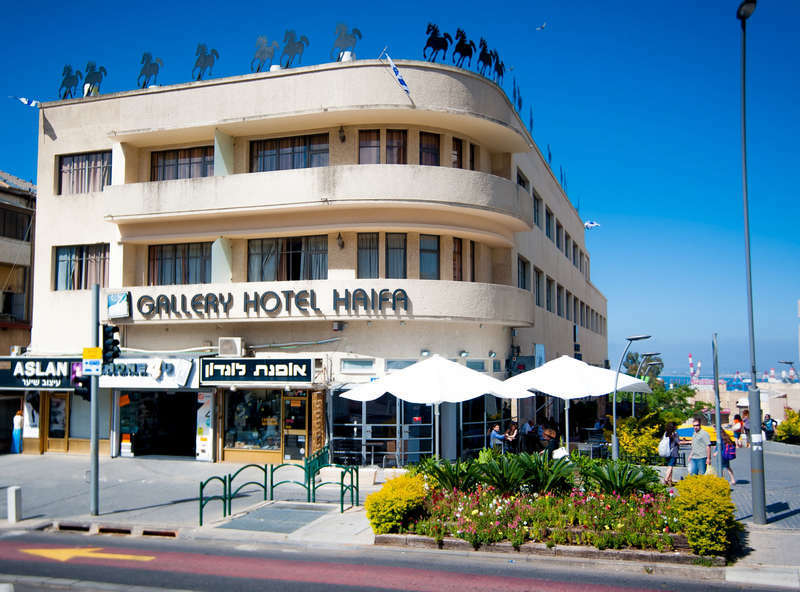 The hotel is within 10 minutes driving distance of the Haifa port, about 15 minutes from Haifa's airport, and about 80 minutes from Ben Gurion airport. Public transport is available outside the hotel. Cancellation is free of charge up to 48 hours before the day of arrival. After this time, or in case of no show the price of the first night is charged. One child from 2 to 12 years is charged 25 % of the room stay per night and person in an extra bed. One older child or adult is charged 40 % of the room stay per night and person in an extra bed.